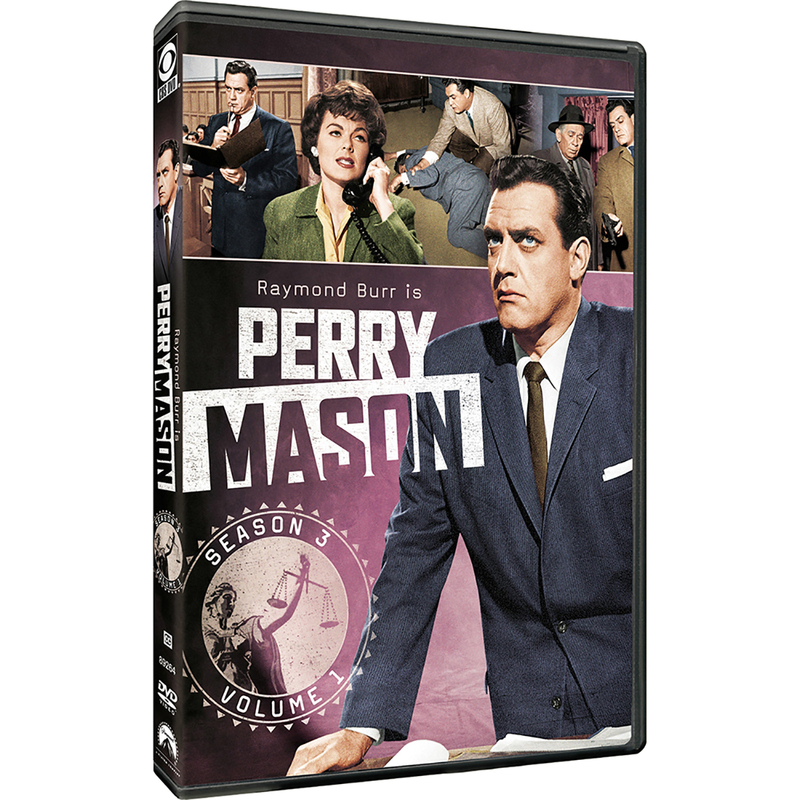 Perry Mason is back in court and back on top! When we hear the familiar theme music, we're instantly set for what's ahead - a first-rate mystery with actors we've known for years. Anchored by Raymond Burr's star-making performance, the brilliant attorney always extracts a last-minute confession from the true killer, usually with the help of loyal secretary Della Street (Barbara Hale) and cocky private eye Paul Drake (William Hopper). Co-starring William Talman as DA Hamilton Burger, and Ray Collins as Lt. Arthur Tragg, the classic crime series returns with 12 powerful Season Three episodes, digitally remastered, on DVD for the first time!